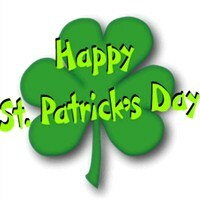 Join the Irish in celebration! View the annual Saint Patricks Day Parade on 5th Avenue in New York City or have a full free-day on your own. Prior to the Parade and after the Parade, youll still have plenty of time to explore New York City on your own. New York Citys Saint Patricks Day Parade is the oldest and largest in the United States (1762). The Parade features over 400 organizations, 165,000 marchers and 400 bands, including 50 bagpipe bands. NO LAWNCHAIRS ALLOWED. Stand only event. Parade begins @ 11 AM & ends @ 4:30 PM runs 4th Ave between 44th & 79th St.
Drop off and pick up is 8th Ave between 49th-51st St.